Christmas is expensive, and presents that are opened and then sit in the cupboard all year are a disappointment to everyone. 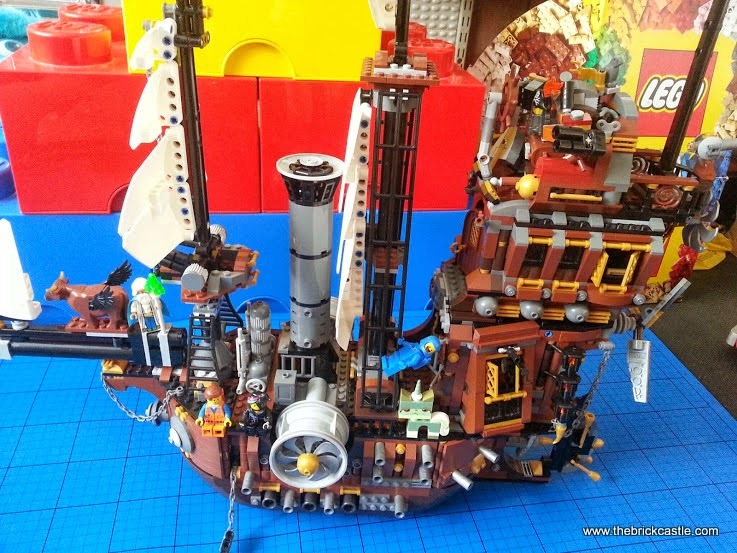 Especially when you are buying the first sets, you want to make sure your LEGO investment will be a set that your child will like, and will open up a huge world of creativity for them. The most important thing is to start by thinking of LEGO as a creative puzzle toy, rather than a brand. 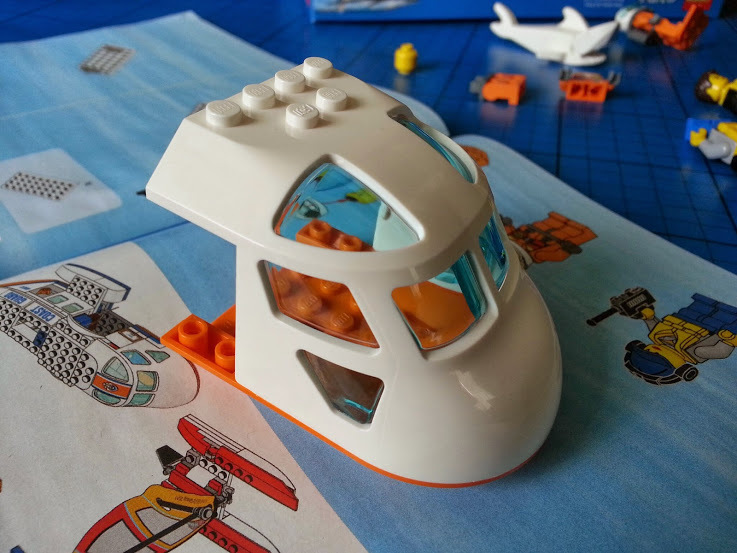 Following a LEGO instruction book to build a model is not so different from following any model instructions, or even completing a jigsaw. The difference is that once you've finished, you can play with it, dismantle it and rebuild it however you want. 1. What toys does your child like playing with? 3. What age and ability range is your child? This is the most important question to ask yourself before you buy. No-one would expect you to get your Grandma a Star Wars jigsaw or a Batman colouring book for Christmas, but she might love jigsaws and drawing. In just the same way, LEGO should fit your child. If they like playing with tiny figures and small world play then they will enjoy a set with tiny figures and buildings. If they like cars, then get cars. If it's princesses or Superheroes, camping, boats, Batman, spaceships or dinosaurs, there will be something which suits them. If your child just wants to create stuff, then get a big tub of bricks. My 5 year old has always been obsessed with minifigures and vehicles. 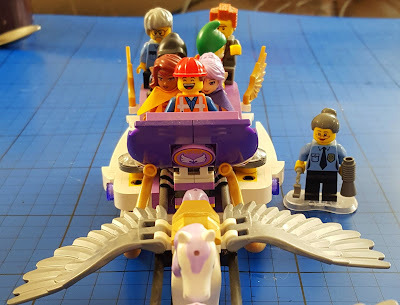 One of his favourite sets is Aira's Pegasus Sleigh from the LEGO Elves range - because it's basically a vehicle that can go on land or air and it fits plenty of passengers (plus it has ponies). 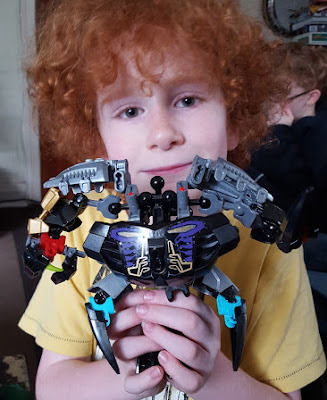 My 7 year old loves bigger figures, and Bionicles (age 8+) have fascinated him since he was 3. They're really robust models that don't come apart easily, but at that age he had no hope of being strong enough to push the ball and socket joints together himself. Now he can, and he likes to mix them up and make himself something even cooler. 2. What Is Your LEGO Price Range? You can walk into the LEGO shop tomorrow wanting LEGO Star Wars and buy something for £2.99, and you can also choose to spend £274.99 on a 3803 piece Death Star. If your child loves Princesses then you can get a Princess Play Castle for £14.99 or Cinderella's Romantic Castle for £59.99. You really can set your own budget and stick to it (probably). If you don't want to commit to a big outlay and genuinely aren't sure where to start, LEGO Mixels (£3 each), LEGO Minifigures (£2.50 each) and lots of other small sets are available under £5. They're a good value treat (and a great stockingfiller) that is better than a couple of chocolate bars and really appeal to the 'collector' in your child. Shop around and offers are usually available with discontinued stock, sales and 3 for 2 offers. Don't forget discounts and freebies can make a difference - LEGO.com offer free gifts and points which add up to free LEGO. Set your budget and never forget that you can always buy a basic box of nearly 600 bricks for under 20 quid, and that will build you whatever you want. 3. Which Age And Ability Stage Is Your Child At? Completing a LEGO model is rewarding, it gives your child something fun to play with and a massive sense of achievement. Tempting as all those big complex sets are, buying LEGO that is too hard or too fragile is usually a waste of time. It'll be frustrating and often it'll be given up on and ignored, and that bad experience can put your child off for the future. 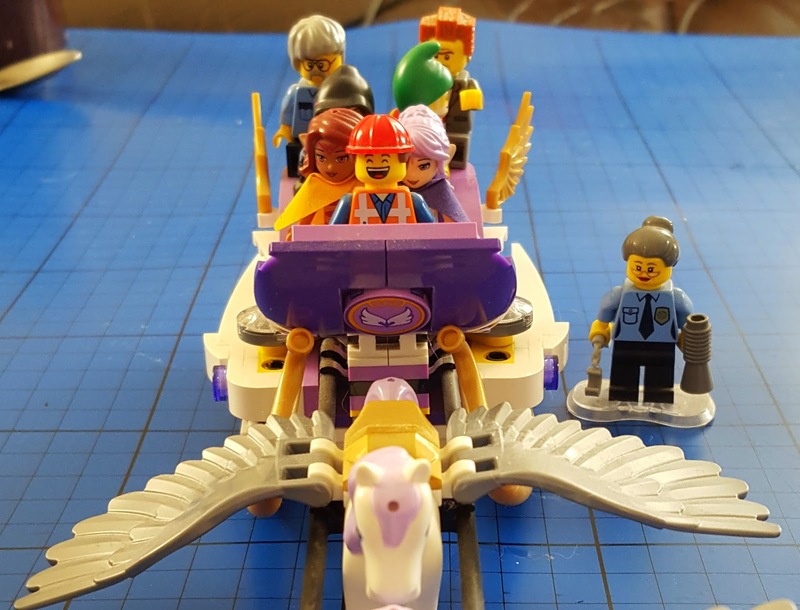 LEGO is split into age ranges based on an average ability - a large part of this is about how much LEGO experience they have, but it's also about what they are physically capable of. Any child who is used to LEGO or very stubborn may be able to move up a level, but no child can really beat nature. 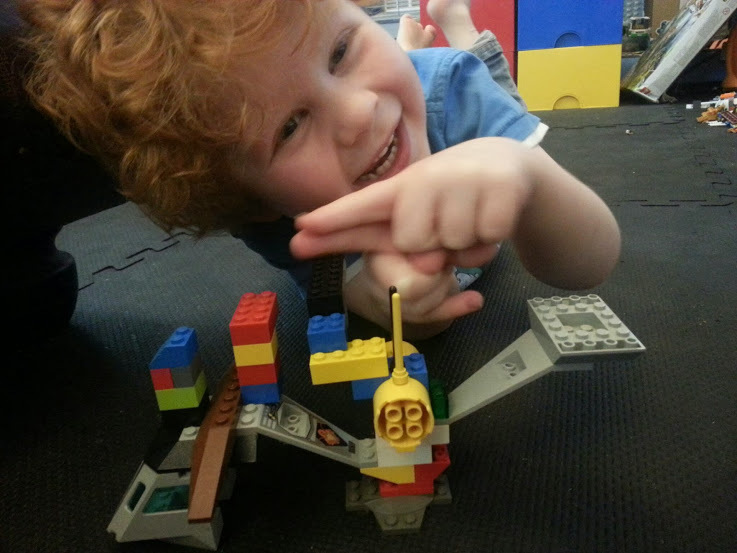 DUPLO is a perfect introduction to building with blocks. There are no small pieces that can be swallowed, and the bricks slot together and come apart more easily, requiring less strength and precision. At 18 months a child uses a circular grip, in the same way as you would hold a bicycle handlebar. As they move towards 3 years they change to a pincer grip, and only then can they begin to hold a pen or a LEGO brick with their fingers and thumb. It's also very hard for them to separate their hands - so they will mirror one hand with the other, making it really hard to hold something still while the other hand is busy. 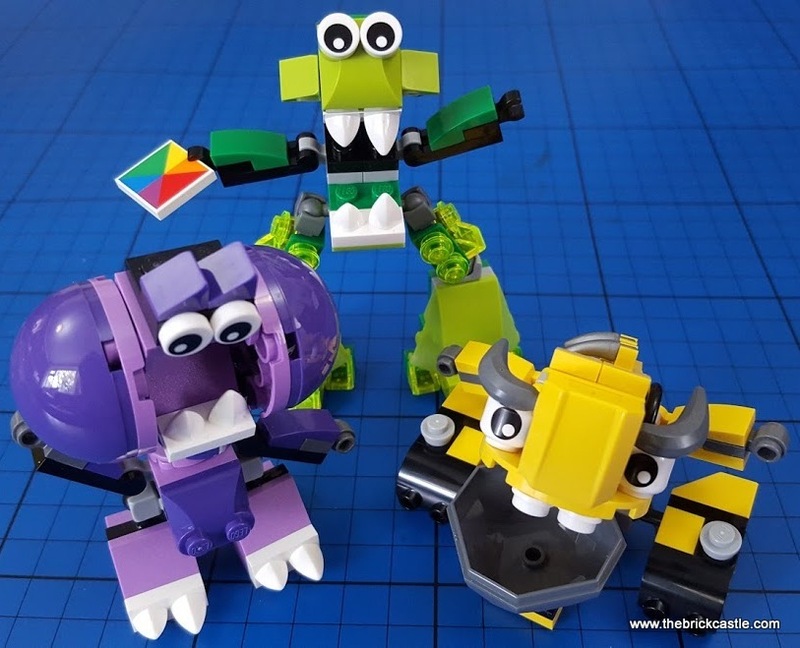 Until your child has perfected their pincer grip around around 4 years old, small LEGO will be frustrating and although your child may try, it's more likely you'll be building it and they'll be practicing their skills by repeatedly taking it apart. At 18 months your child plays with their DUPLO as a brick, an interesting, tasty object that you can attach to another one. By 3 years they're beginning to storytell, and DUPLO have reflected this by introducing Batman and Disney characters to extend play value. By 4 years old your child can move on to little LEGO. 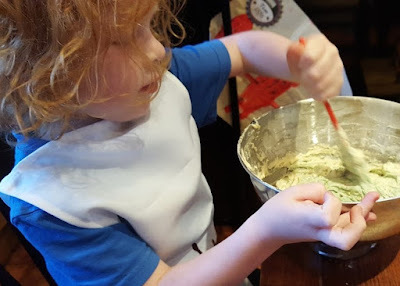 They have the grip to hold small pieces, and some of the strength, or 'clutch power' needed to press it together and pull it apart, but they're still perfecting their fine motor skills, and will find it difficult to work on a very small scale. Instructions are very tricky to young children. We can quickly look and estimate no. of bricks in a grid and position, they can't even count to 20, let alone glance and know 'how many' easily! LEGO sets in the 4+ range have big, clear instructions only adding a piece or two at a time. 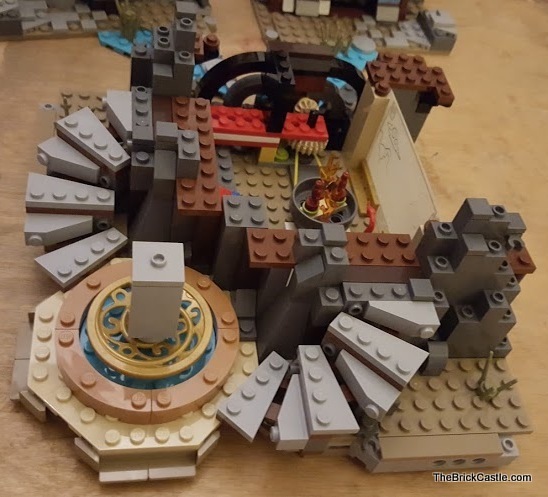 The builds are easy and sturdy, and it's usually very obvious where to put your next LEGO brick without having to count more than 2 or 3 studs. At this point the LEGO is mainly about small world play. There are superheroes, knights and spaceships, and regular people who your child might see in their everyday lives - families, police, bin collectors. Children focus their play on storytelling, both imaginatively and repeating everyday events. With the pincer grip problem solved, children are refining their fine motor skills. These are the skills they need to write, open packets of biscuits and take the batteries out of your remote control. As children progress through the next few years they become more accurate, they can count by sight rather than actually counting, they have more control of hands and fingers and can manage some trickier builds. They can cope with the small flat plates which are almost impossible for a 3 year old to place, and can comfortably hold single studs. Play will continue with more storytelling and less re-enactment - fighting space battles with laser blasters before taking the dog to the vets with Batman. At this age children are more likely to add to what they are given and experiment, so if you buy a themed set, a few extra bricks means the Star Wars Speeder has an extra laser cannon and space in the back for 2 passengers, or even better - another craft to speed along with. At this point strength is much better and children can easily manage the ball and socket joints. They can line up Technic pieces and have more patience, so they're happier with big builds that aren't obvious until bag 2 just what you are building. Your child will begin to be more interested in physical appearance, details, and expects a level of accuracy. This eventually replaces playability in importance. This is grown up LEGO. A part which would be made from 3 elements for age 5+ might be made from 20 instead to give function, movement, more intricate patterns or details. These sets may include tiny parts which require a lot of fingertip strength to remove and incredible accuracy to place, and they may include very fragile builds which only gain their strength when almost complete. 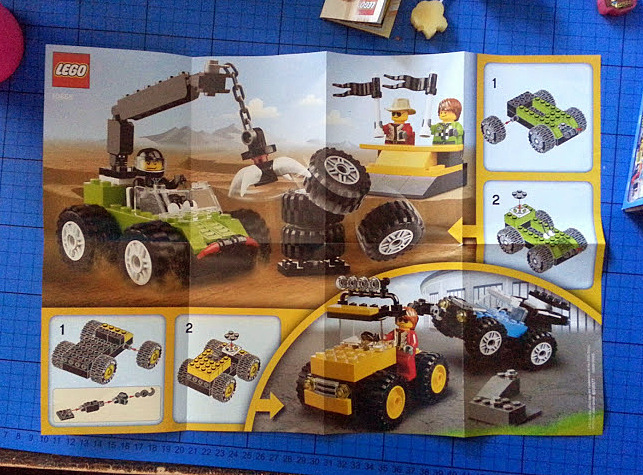 This is "I need another hand" LEGO, and builds can look like random lumps until you get to bag 5 or more. Playability isn't usually a main feature for the buyer and builder of 14+ LEGO, modelling and design are more important. Some 14+ sets, such as Metalbeard's Sea Cow are incredibly fragile and they are definite high shelf models. 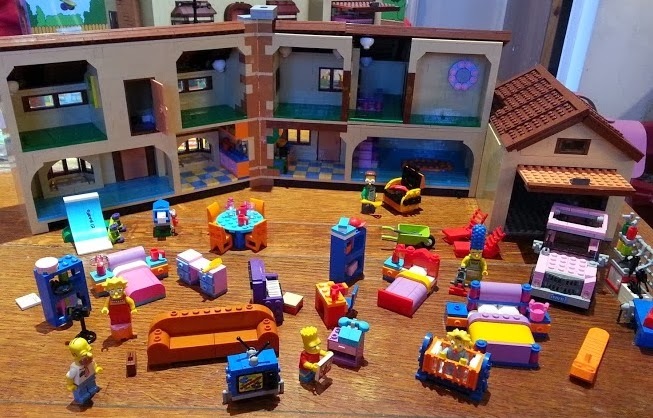 Occasionally some of the older sets are built for play, and your younger child can have hours of fun with them - plus it gives you an excuse to join in. The Simpson's House (age 12+) is a great example. 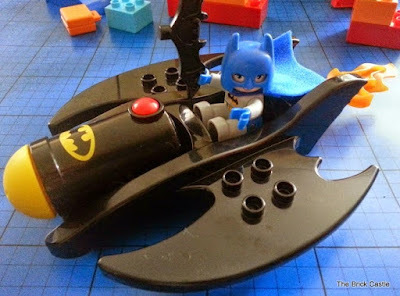 LEGO can be an expensive investment, but it's a puzzle, a model and a toy in one, and it never loses most of it's value. If you get your buying right then it can help your child learn to count and write, feed their creativity and imagination, and give them a real sense of achievement. Fantastic post and one that's definitely echoed our Lego experience. Dunlop is still played with daily here but at five Bud now has the strength to build the City models alone and needs less and less strength to do so. I think we'll definitely be buying Lego Juniors for LM as she is so much more dextrous than her brother and is already putting blocks together. I can see the benefit of the intermediate stage for her far more than I could for him. I definitely agree with buying models that are based on their interests too. Bud's first Lego set was the Lego City Bin Truck when he was three. We built it for him but he loved playing with the model when it was built because he loved bin trucks then! At 5 and a half his interests have moved on and he wants Lego Super Heroes and Jurassic World! Great post, so useful and informative. I think every child needs some Lego at some point, such a brilliant toy. We have Duplo, Lego Juniors and Lego Friends here so far, and all are hits. 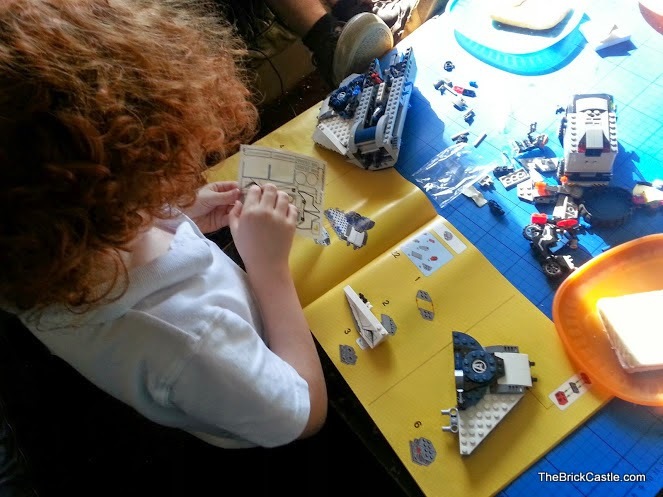 This has got to be the most thorough and informative article about LEGO I have ever read! 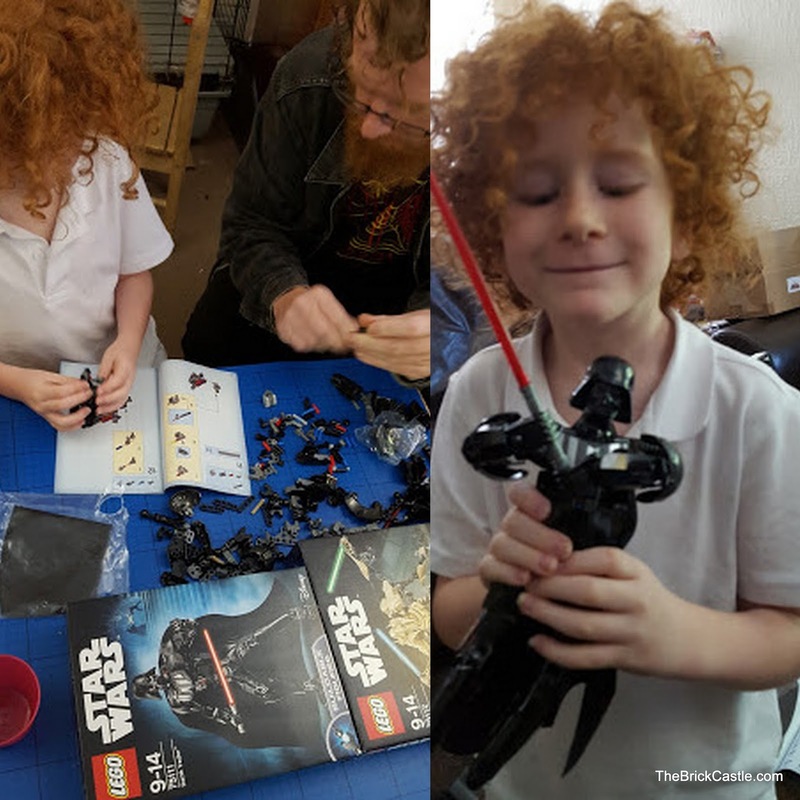 LEGO is one of those wonderful toys, that I remember fondly from my childhood, that my son played with (my old stash, plus more modern additions) when he was a little boy, and he even bought himself a Star Wars kit from the LEGO store at Disney Springs in Florida a few weeks back. My husband still loves LEGO (his pride and joy is the Millennium Falcon kit! ), and my brother (26) now wants to have a go at building it! Some good tips. We used bionicles from about 3 too,but I'm not sure who bought him his first proper lego. Brilliant guide to Lego. We have made some mistakes in the past but you can't go wrong with a big bucket. This year we are stepping up the mark and going for Lego Ninjago, but I'm betting it will be me and Dad doing most the building. My kids used to love Lego and I think you never grow out of it. This guide is very helpful. LEGO is a great toy. My son used to love the Star Wars and Harry Potter sets when he was younger. What an incredible post. My son't 6 so we're just starting out on our LEGO adventure - I had no idea such detailed pieces, like Metalbeard's ship, even existed. I'll be sharing this post on Twitter as it's something lots of parents would benefit from. 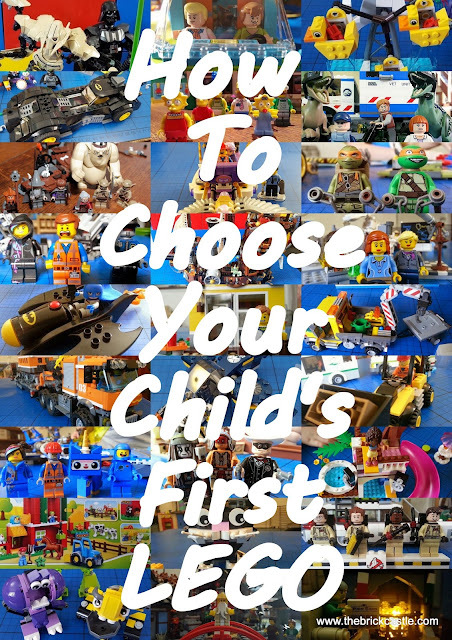 Some really great tips - we are all Lego mad in this family but it's hard when there are SO many choices! I love Lego, I could spend an absolute fortune on it and always buy the kids sets at Christmas and birthdays. we love lego very much! thanks for the tips. We are huge Lego fans here. My son, who has social and emotional issues often turns to his Lego collection as a way of escapism. He's 7 and mastered the age 5-12 sets already and he especially enjoys the 3-in-1 creator sets available. He's just bought himself the 12+ Wall.E so it will be interesting to see how he gets on with that! we love Lego, wonderful post, most helpful.